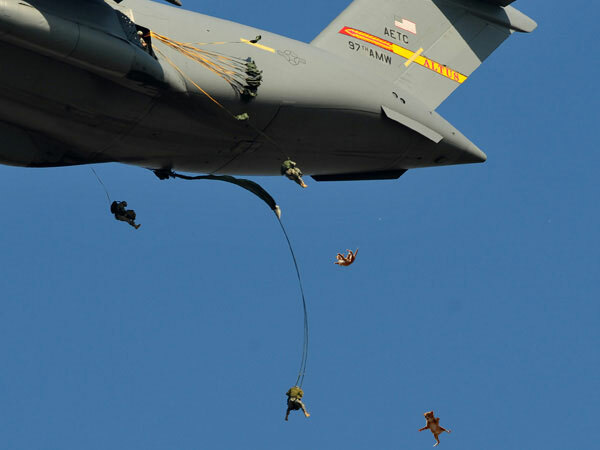 Slate felt bad for cat lovers with the dogs getting all the glory and offered up its Cats of War series. 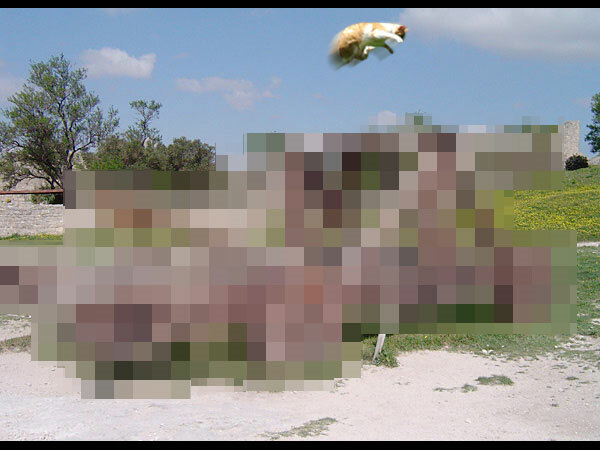 The slideshow has cats placed strategically into photos that are real, courtesy of Photoshop. 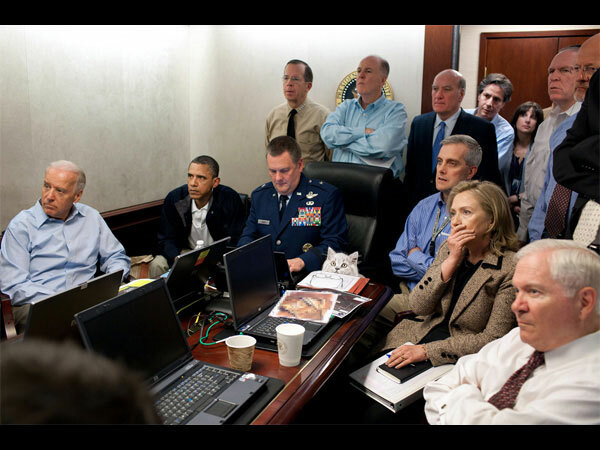 I really like the cat watching with Obama as Bin Laden is taken out.